With his endorsements of candidates like Jealous, Sanders is framing the next American politics. Bernie Sanders did not win the Democratic presidential nomination, but he did create a muscular and highly engaged political movement that is active on the ground in every state. This movement extends beyond the group that evolved out of the Sanders campaign, Our Revolution, finding expression in a variety of organizations (the Working Families Party, Democracy for America, Progressive Democrats of America, Democratic Socialists of America) and in dozens of campaigns for local, state, and national office. Jealous was a key backer of Sanders in 2016, traveling with the candidate and delivering one of the most powerful addresses at the Democratic National Convention. But long before he became associated with the campaign, the 44-year-old organizer on issues ranging from voting rights to mass incarceration to environmental justice and economic inequality was identified as a likely contender for high office. Now he is bidding for a governorship that Democrats lost in 2014 but can win in 2018. All true. But what progressives also get is a new face on the national political stage. 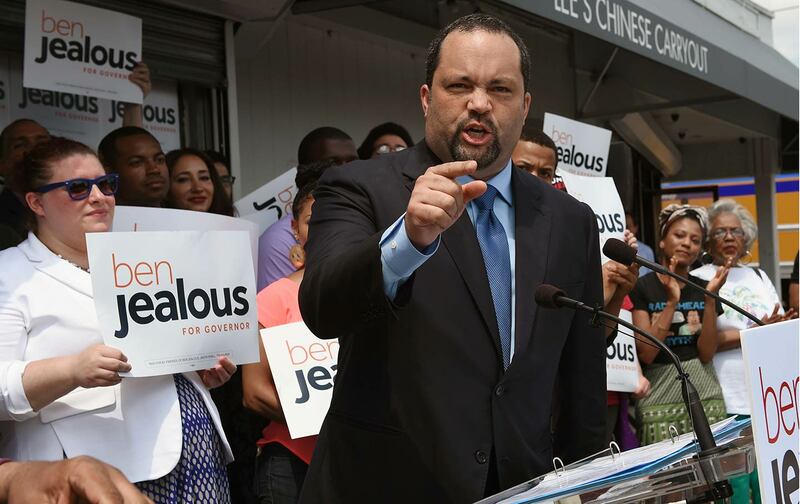 If Jealous wins the Democratic nomination in a crowded primary field that features a number of capable contenders, if he goes on to defeat Republican Governor Larry Hogan, and if he succeeds in making Maryland both a bastion of resistance to the Trump presidency and a center of progressive innovation, his name will eventually appear on lists of presidential and vice-presidential prospects. As those progressives are elected, they will become definitional figures. Bernie Sanders knows this. He is actively seeking to share the spotlight. Indeed, with his endorsements of Jealous and other next-generation contenders, he is turning that spotlight in new directions. No one who knows Bernie Sanders imagines that he will cease to be a vital figure in the movement—the movements—that have extended from his 2016 candidacy. But he is seeking to expand those movements, to build them up and out, and to invite others into leadership roles. The purpose is to make it clear that the next American politics will be bigger and bolder, more inclusive and diverse, than the narrow and dysfunctional politics it is certain to replace.